Becoming an established name in the real estate industry is a tough road to go down, but the best in the business know exactly how to market themselves and find clients. For those that are just starting out, however, it can be challenging to build that same network of potential listings. 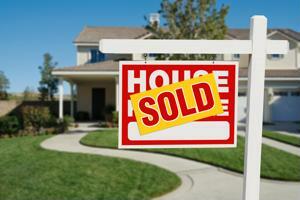 Even so, there are a number of ways a professional can find success in real estate. Becoming an established name in the real estate industry is a tough road to go down, but the best in the business know exactly how to market themselves and find clients. For those that are just starting out, however, it can be challenging to build that same network of potential listings. Even so, there are a number of ways a professional can find success in real estate. At its core, the job is about getting these listings - and that is achieved via relationships. Nothing is more frustrating than having a possible client decide to go work with a competitor, but thankfully this scenario can be avoided with a few simple steps and a smart plan. The real estate industry is an inherently personal business. In most cases, fledgling professionals build a network through people they know and then work out from there. That is why it is so important to always remain in contact with past clients, because there is always a chance that they offer up a recommendation or a lead to the next homebuyer or seller. Bernice Ross, a contributor to Inman News, wrote in an article that losing touch is the primary reason why real estate agents lose out on listings to their competitors. In too many cases do professionals spend time on their marketing strategy trying to get their name out there, all while forgetting about the past clients. This means that they could be losing out on networking opportunities and referrals. In order to avoid this problem, Ross suggested that agents contact their previous clients on a regular basis. For some, this will include texting, emailing or using social media at least once per month. Then, every several months it may be wise to set up a face-to-face meeting. These interactions don't have to be long, they only serve to keep an agent in the minds of their clients. Better yet, these connections can take the place of generic marketing materials, providing a more personal touch. In order to avoid losing listings, agents must be the best in their field. With CRS Data, this goal can be achieved via in-depth information, such as mortgage records and property data. Now, a trip to the local courthouse is no longer needed. To read our Property Values and Key Property Data white paper, click here. A real estate agent's job is never done. Each day, that person met on the street or in a coffee shop may be a potential client, so it pays to always be on the lookout for that next homebuyer or seller. According to Realtor Magazine, one great way for new agents to start building a network is to keep an open mind about meeting people. Anyone could be a client, and getting listings means reaching out to a wide range of candidates. For starters, that involves talking to family and friends, but it should also include anyone else met during the course of the day. All it takes is one happy customer to start seeing that network climb in numbers. Once a contact is made, agents should ask for some information, the news source noted. It is best to acquire their email addresses so it is easy to share marketing material and other news. There is no harm in reaching out and seeing who is interested - the worst case scenario is that it doesn't turn into a sale. But, on the other hand, there is also a chance that they become a future client.